What a beautiful day to be out canvassing. This morning I was with a team in Lordswood and then this afternoon I was with a team in Princes Park, and a third team were out in Larkfield. The sun was shining, it was nice and warm and people were out in their gardens, doing DIY or washing their cars. They were happy to talk and we were happy to listen. So many people are fed up with this Government - they feel very let down. I spent a long time talking to a couple today who had voted Labour but were not going to vote for anyone despite the fact that they desperately wanted change. I managed to get their support in the end but it reinforced how angry people are about the state of the country; whether it is the economy, uncontrolled immigration, a broken benefits system, youth unemployment or the lack of support for the older generation, local residents I talk to are fed up that they are not listened to and nothing is done to help them. We had a good day today. The response was positive, the mood amongst the troops is good, and the pub we had lunch in was excellent (despite the fact that Spurs were losing on the big screen). I have a day off from canvassing tomorrow but back on the stump Monday. It was a real pleasure to welcome Shadow Foreign Secretary William Hague to Chatham today. He did a tour of Asda in Walderslade, one of the biggest employers in the constituency, meeting many customers and staff along the way. William was on a marathon tour of the South East but we managed to grab him for a good 40 minutes and so he got to sit down with some of the staff in the canteen and his walk around the aisles certainly cheered up quite a few of the ladies out shopping in the supermarket today! As you can see what had a good team out in Snodland last night (and this picture doesn't include Cllrs Les Withey and Chris Block who missed the photo and of course the photographer!) 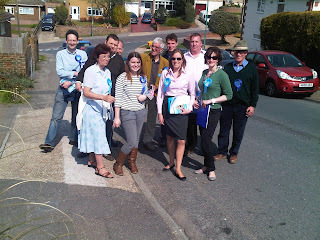 plus we had four out in Larkfield in the afternoon and six out in Ditton in the morning. Of all the doors I knocked on or people I spoke to, I met one person who had always voted Lib Dem and one person who was "considering" voting Lib Dem. I am not sure I have yet seen any evidence on our local doorsteps and streets of the "Lib Dem surge" the media keep talking about - it will be interesting to look at the raw data behind the polls, but I don't really have the time or the energy after 3 canvass sessions! We had another excellent team of 20 out today and went canvassing in Chatham this morning and Luton this afternoon. I didn't meet a single Liberal Democrat all day and only one person who had watched the debate on Thursday. I was amused to see my opponent in the same street as my team of four this morning; I hope people were saying to him the same things they were saying to me about the need for change! It was a good day overall. 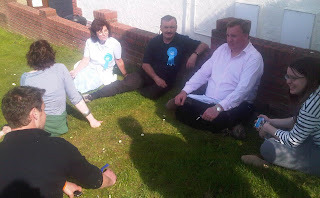 The sun was shining, team morale is high and the response on the doorstep was positive. And to top it all I met some interesting people on my rounds today - one of whom called me "beautiful" which is always nice! We have a day off from canvassing tomorrow. Instead I shall enjoy my girls last home match of the season before dealing with emails and letters. Tonight however I intend to put my aching feet up and watch the return of Britain's Got Talent! There are no two ways about it. My feet hurt. But after another 3 canvass sessions today it is hardly a surprise! This morning's canvass session began in the Blue Bell Hill and Walderslade ward, and I was pleased to be joined by Richard Ashworth MEP and former Conservative Party Director of Communications Charles Lewington on the doorstep. We had a team of 7 out on the doorsteps and I think we were initially surprised how few people talked about last night's debate. The only person who raised it with me said he thought he was going to vote for Nick Clegg until he mentioned scrapping the nuclear deterrent! After a couple of hours we headed off to the Robin Hood pub for lunch (ham, egg and chips for the second day running) where I met again the Friday regulars - they are mainly ex-engineers so we had a very interesting chat about the factors behind the grounding of the planes due to volcanic ash. After lunch we headed off to Prince Park to greet Michael and Sandra Howard who had travelled up from Folkestone to help canvass. Michael introduced me to politics and so I have worn several rosettes and delivered thousands of leaflets over the years with VOTE MICHAEL HOWARD on them, so it was a pleasant role reversal to have Michael and Sandra canvassing for me. We had a team of 17 in total out in Princes Park so the team split into two. I had a journalist and photographer following me for the first part of the canvass which was interesting - it certainly didn't stop people from saying what they thought! After they left I caught up with the rest of the team and another photographer from a different local paper. They had pretty much canvassed the estate so I was talking to some lads who were playing football but stopped to ask what we were doing. One was wearing an Arsenal top and after I asked him what the score was on Wednesday he challenged me to prove that I could play football. Bearing in mind I was in ballet pumps and a pencil skirt I was rather pleased that I managed to do around 15 keepie uppies before volleying it left footed back on to the grass. The photographer was so shocked that he watched in awe and didn't take a single photo of my glorious moment!! However before we finished I did perform my little trick again, this time before a crowd of canvassers, before promising the lads I would Save Capstone Valley and heading off for tea. 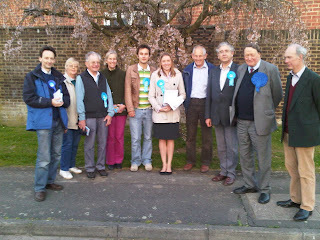 After a short break of tea, cake and an interview, we returned to the streets for our final canvass session of the day. The Howards were still with us and so we had a team of 10 out pounding the streets of Walderslade. In total today we knocked on nearly 1500 doors and the big issues were uncontrolled immigration, abuse of the benefits system, the price of petrol, and job security but hardly anyone mentioned the television debates! I have really enjoyed campaigning today. I woke to discover that the photo shoot I did with Grazia magazine back in February is in this week's edition (I still pine for the LK Bennett shoes I chose to wear for the photo shoot but are too expensive for me to buy!) and the feedback has been good. Then we had a really good reception in Wouldham during this morning's canvass. Lots of people out in their front gardens making the most of the spring sunshine. We did pause for a while and take in the view of the river, trying to spot the rumoured seal or otter - I am sure it is long gone by now but it was nice to have an excuse to stand quietly and gaze up and down the river for a few minutes! The after lunch, Conservative Defence Secretary Dr Liam Fox joined veterans, cadets, Gurkhas and those with sons in the Armed Forces for a coffee and a chat at the Royal British Legion Village. The veterans, who were wearing their medals with pride, talked to Liam about their concern for today's soldiers - an issue I have talked about with them many times. They are genuinely concerned about the lack of equipment and wanted to know what a future Conservative Government would do to protect our forces as best as possible. Liam also met some cadets, all of whom were looking to go into the Air Force or to use the skills they have gained from their training in other occupations. He also met Cllr Tashi Bhutia and fellow former Gurkhas and having congratulated Tashi on winning Luton & Wayfield he then told them of his trip to Nepal quite a few years ago - they were very pleased to hear him speak about his trip so fondly. Then followed the formal launch of the Conservative Party's manifesto in the South East Region. I am pleased with the manifesto; not only is it well presented but it gives power back to the people. I've lost count of the number of times I have talked to medical staff, teachers or police officers who are horrified with the pointless strategies or targets coming out of Whitehall that disable their ability to do the job that they signed up to do; this is designed for them. Let the professionals do their job. Since I am pretty sure that most of Whitehall has never heard of the villages and towns that make up Chatham & Aylesford I am fed up with hearing how Government knows best for its residents. Therefore what David Cameron and the Party has launched today is I think a very exciting opportunity for people to help bring about the much needed change this country needs. After Liam departed, we headed off to Larkfield to finish the day canvassing. The news bulletins were on in the background as we knocked on the doors and I was very very pleased with tonight's response. The undecideds from a few weeks ago are firm supporters now - the excellent first week of the campaign has helped and today's positive launch seems to have nailed it with some. The change message is getting across. 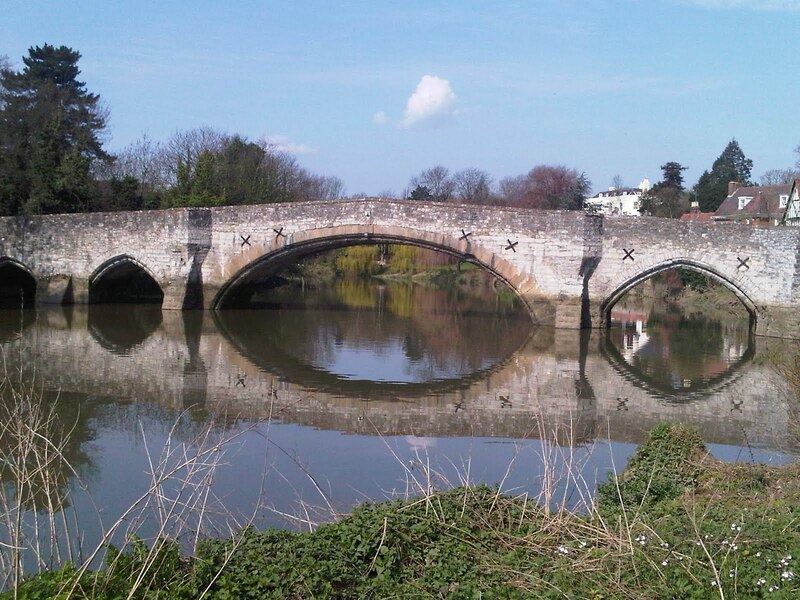 Today, we had 24 people out in the beautiful sunshine in Walderslade and Princes Park including two new team members! The sun had people out in their gardens and cleaning their cars on the driveway so I got to talk to a lot of residents today about their issues. I seemed to encounter a number of people who had recently had a problem with care or "service" at the Medway Maritime, which was worrying and I will pick up with the Chief Executive next time I see him. I also made a house call and met an extremely savvy young lady who I was very impressed with and who David Cameron is talking about precisely when he talks about the "great ignored". I was only sorry I had to leave sooner than I would have liked to join the afternoon canvass team but in the short time I was there, I felt I had an insight into what young single women who want to work hard face and how they are beginning to get angry about not being heard - it was certainly a message I took note of. After 3 days of meeting and greeting at Asda, Chatham train station, St Martin's Square Larkfield and Snodland High Street followed by many resident calls and meetings, it was time to get back on the doorstep today - and the beautiful weather certainly gave the troops an extra spring in their step. This morning we were in Larkfield where not only is the Cherry Blossom is out and the Magnolia Trees are beginning to bud but the reception was warm. One of the great things about talking to people on the doorstep is the variety of issues you get to discuss - chatting to residents in Larkfield issues ranged from immigration and pub closures through to MPs expenses (although I also had a very informative chat about when you should prune a Wisteria!). After 2 hours in Larkfield we stopped for a bite to eat at Wealden Hall before heading off to meet Iain Dale who had come to help in Ditton. I got rid of all my posters but had a hilarious chat with a lady who was definitely going to vote Conservative but didn't want to put a poster up because she "hoped the others knocked on her door so [she] could tell them what for" - having heard her views about the "others" I would love to be a fly on her wall when they coming knocking!! 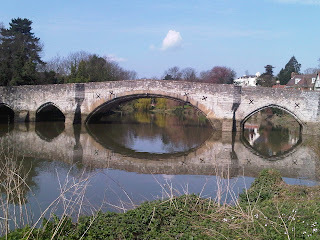 After a short break to watch Iain do Sky News live from Aylesford bridge, we finished our days canvassing in Aylesford. My feet hurt and my inbox is full but it was a good day. With the expenses scandal overshadowing British politics, it is important for candidates to try and restore voters’ trust and faith in politicians. 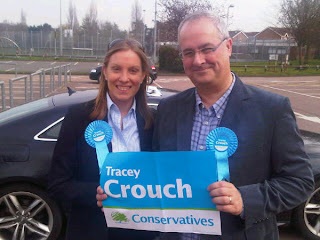 So as the 2010 General Election begins, your local Conservative Candidate, Tracey Crouch, has signed a Clean Campaign Pledge providing voters with a clear personal commitment to behave responsibly and fairly during the forthcoming campaign period, and to uphold high standards if successfully elected to Westminster. To show by my actions that politics need not be a dirty game, but can be a clean and positive activity, engaged in genuinely for the good of all. To tell the truth about what I stand for and have achieved, and about what others stand for and have achieved. To refrain from personal attacks. To make only honest and reasonable promises. To fight a clean, positive and honest campaign around the issues that concern local people. To be honest about public spending, and not to scaremonger in ways that may frighten the most vulnerable members of our society. To take money only from organisations and individuals whose motives in giving money I do not have reason to suspect. To sign up to the transparency pledge on MPs’ expenses below. To ask other Parties operating in this election to sign up to a similar honest campaign pledge. To help me enforce this Pledge, by reporting truthfully to me and to the media any apparent breaches. To publish online details of all of personal expenses incurred as a Member of Parliament. To publish online details of all office expenses incurred as a Member of Parliament. To publish online details of all donations in line with Electoral Commission rules. To appoint a local firm of auditors to approve expenses accounts at the end of every financial year. To open up the unedited expenses claims to local newspapers at the end of every financial year. Never to claim for food, furniture or household goods. To meet all tax liabilities – such as stamp duty – without claiming them from the taxpayer.